How do landing gear retracting into the wing affect performance when deployed? On many aircrafts with low wing, landing gear (either wheel, leg, or both) retracts into the wing. Thus, when deployed, a significant part of the lower surface of the wing is not as clean as when the landing gear is retracted. It must affect aerodynamics by adding drag, but may also affect lift as this modify airflow along the wing. How does the landing gear affect aerodynamics when deployed and when deploying? Is it different for aircraft whose landing gear do not retract into the wing? Does this modify performance critical when taking off or landing such as stall speed, optimal climb speed? There are two main geometrical characteristics that affect the airflow in the situation mentioned. From one side you have a cylinder with wheels at the end; on the other side during the transition you have an open cavity. Note for fluid dynamics experts: This is not relevant if Reynolds Number (Re) is around 10,000, but for understanding the concept is good enough. So, imagine that we are cutting landing gear perpendicular to its length and we visualize the flow. Looking at the flow lines, they are almost not affected at 3-4 diameters of distance from the cylinder perpendicular to the flow direction there is a very local influence of the existence of the landing gear. However we see that down the flow there is a big influence with the creation of chaotic structures. That is creating a big increase in drag downstream of the landing gear and any surface behind. Basically... low influence on the red direction and significant influence on blue. Answering your question, influences the wing in a local area. 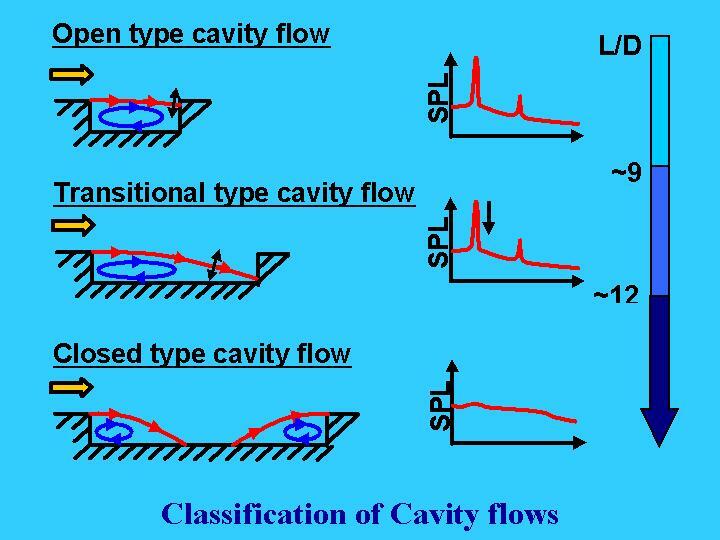 The influence anyhow is negative on the lift, as the flow is accelerated locally, reducing the static pressure below the wing, having a lift reduction, but is a local effect. This also have an influence on the wing lift distribution and a small effect on drag... lower than the one directly produced by the landing gear itself. I found several flows similar to the second one, but depends on the airplane. You can see that flow will enter and go outside and will have a big influence. Finally, the biggest influence is found when the airplane is deploying or retracting the landing gears when you have changing conditions, difficult to predict and affecting the airplane dynamics. Usually you can notice it when landing or taking off, when landing gear is deployed you fell significant vibration on the airplane. There is a significant drag increase, slightly the lift, but also creates some unsteady behaviour affecting overall airplane mechanics creating vibrations (anyhow, nothing not already taken into account). I understand that you refer to airplane with non retractable landing gear. The effect is similar but usually the configuration tries to avoid having the landing gear close to the wing, as finally they don't need to retract them back. Well, stall speed is usually defined by wing lift curve, and not so much affected by the landing gear. Usually the limitation is on the upper side due to separation. Climb speed is basically engine thrust minus drag, the drag increases the climb speed is lower. That's why airplanes retract the landing gear as soon as possible. The main effect of the gear is its drag increase and a pitch-down moment due to the low location of the drag. Since fixed gears usually are more aerodynamic than the struts of a retractable gear, these effects are less pronounced for fixed gears. Another moment change is possible with retraction in flight direction; then gear activation causes a small shift of the center of gravity. The drag increase is highest during gear deployment because the open wheel wells create additional drag. Normally, the drag of the extended gear leg, wheel bogie and wheels is the biggest part, so the open wheel wells will contribute maybe 30% of the total. Precise values vary wildly, depending on gear location, retraction direction and gear size. The effect of open landing gear doors on lift is marginal, possibly even beneficial. So in total they lower L/D without affecting minimum airspeed. The higher drag shifts the optimum speeds for minimum sink speed and best cruise to lower values. Note that maximum speed is limited while the gear moves and is down. Compare the effect on lift to that of a split flap: This also creates a lot of drag and separated flow, but when you compare the flap effectivity (pdf! ), it will give more maximum lift than an equal camber flap. By keeping the upper surface unchanged, a split flap will affect the upper side pressure distribution less and will allow it to contribute more lift. In the end, lift is created by deflecting air downwards. If the flow is impeded on the lower side of the wing, this helps with this deflection more than it hinders it. 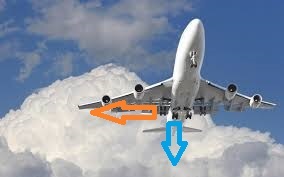 However, this is not an efficient way to increase lift - the drag increase is significant, and for that reason modern landing gear doors stay closed when the gear is not moving, except for those which are blocked by the extended gear. Usually, the gear doors stick out in flow direction, so their blocking effect is small and local. Thus, their effect on lift is small. Spinning wheels will create a gyro effect which will make the aircraft react in funny ways if the pilot wants to make small adjustments. There are a few things to think about here. For one deployed gear basically acts as a speed brake, many new GA planes are working to allow gear extension at full cruise so the gear can double as a speed brake, notable Diamond has done this on their new twin, and talks about it in a few of the videos. So from that stand point they act like any other drag creating air break. Now lets talk about air flow over the wing. While a wing generates lift as a whole item, the lift is distributed along the length of the wing as is the air flow. Most GA planes (and the war birds you have pictured) have the gear in a more inboard position. Deployed gear may create a bit of turbulent flow on the inner part of the wing but the rest of the wing still generates lift while the gear is down and interrupting air flow, possibly effecting lift. As for speeds you have Vs0 which is your stall speed in landing configuration which could differ from your Vs but should be confirmed in your POH for each aircraft. I would think from a design stand point the engineers make sure that the wing generates enough lift for take off and landing and safe flight with the gear down but focus mainly on aerodynamics from a gear up perspective as that is the common setup of a plane. You should also note that the drag from the gear will affect climb performance so you will want to get that gear up quickly once you are flying. For me the main part of this question is about the effect on wing lifting performance, not drag. I don't know the answer to this technically, but I could offer the following thoughts: The area taken by the wheels is a small percentage (perhaps 2-5% at a guess) of overall wing surface. Even on heavy aircraft, each square foot of wing only lifts a small amount of the overall weight of the aircraft. This is defined as an aircraft's wing loading see https://en.wikipedia.org/wiki/Wing_loading for more details. So even if putting the gear down totally destroyed the lift of that area of the wing (which it won't because its not like a hole in the wing - the wing is still there just not the optimal shape) it would only be like adding a few pounds in weight to the aircraft and having to fly at a slightly larger angle of attack as a result of that. So my conclusion is that the biggest affect of putting the gear down on any aircraft, is drag, the effect on lift will be minimal, and stall speeds are usually provided in the POH in landing configuration in any case. So this is not something a pilot would normally think about. The biggest deal for the pilot is the effect on the trim due to the position of the drag and the additional power needed to overcome the additional drag. Not the answer you're looking for? 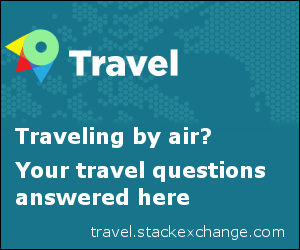 Browse other questions tagged aircraft-performance landing-gear or ask your own question. Why is the Eurofighters nose gear door shorter than the bay? Is there a best number of wheels per bogie? When do pilots deploy landing gear? What is the cause of the noise heard when the landing gear is deployed? How does aircraft weight affect the glide performance?